A recent article in The Independent shows once again how deep our human need of magic can be. The Tower of London, among the oldest buildings in the city, and often considered the most haunted, was apparently protected by magic. Archaeologists have discovered ritual marks on the support timbers of the representative of the Queen’s residence that they believe were intended to keep the devil out. Given that building has been around for a few hundred years, that’s really not all that surprising. The amazing aspect, at least to me, is that the signs are a rare admission on the part of those in power that they are occasionally not in charge. In any case, now that Halloween is in the air, it seems appropriate to think about how even the most rich and powerful aren’t secure from spiritual anxieties. It’s no wonder that bishops were so powerful, back in the day. Since I’m writing a paper that discusses grimoires, magic has been on my mind lately. Anyone who follows the books I post on either this blog or Goodreads might easily discern that. The concern that Medieval people had with witches was their supposed ability to work magic. Ironically, historians of science are now suggesting that the study of magic may have led to what we now think of as science. In order to manipulate the physical world, you have to understand how that world works. Magic might have had some benefits for society after all. And we are still prone to magical thinking. It is deeply embedded in the human psyche. Magic, like miracles, can be fortuitous, but the prudent know better than ever to count upon them. 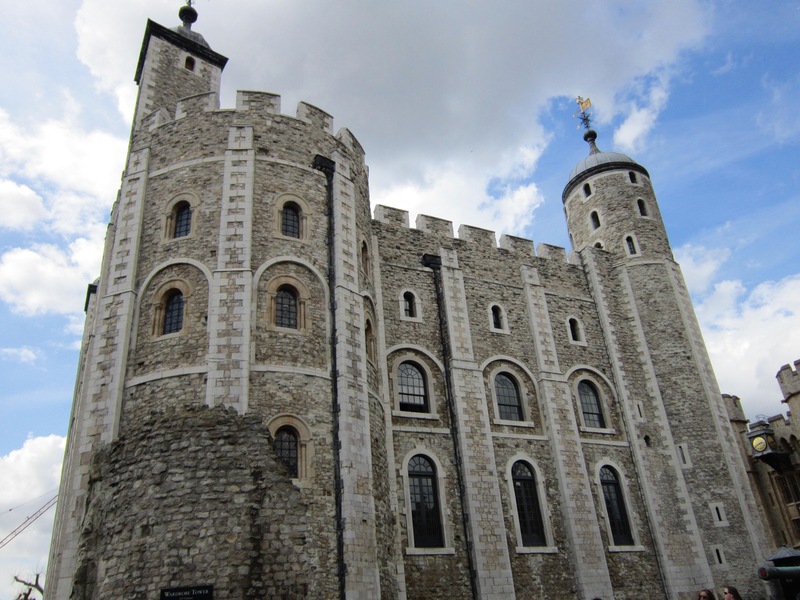 The Tower of London was the, or one of the, castle(s) of the city. Political prisoners were held there and often left with their heads in separate compartments. 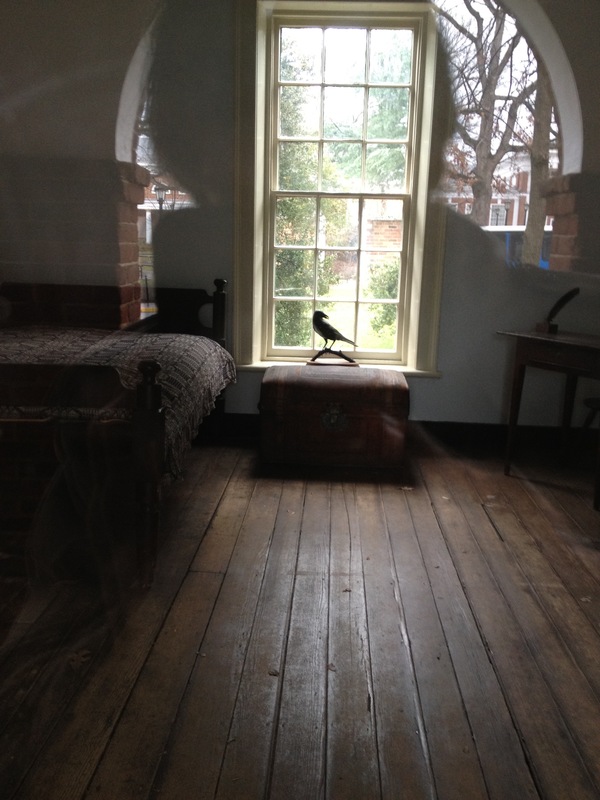 Even a regular tour of the grounds will include references to ghosts. A city as large and as sophisticated as London still can’t escape the past. The hex marks found by archaeologists may date from the early modern period—the time of the Reformation and thereabouts—but the human mind has not much changed since then. While we may not put secret marks on our buildings any more, we still instill them with a sense of magic. And people move out of haunted houses so often that some states have requirements to reveal troubling histories of properties before someone decides to buy. We are a society enamored of technology and future progress, and yet we stop and wonder when Halloween is in the air. “Anything free is worth saving up for.” That’s a bit of wisdom I picked up some time ago. There’s another side to free, however. That other side is called the hook. So, I started this blog with the help of my niece, back in 2009. Word Press offered free web hosting and, at first, support. Nearly every single day for about six years I’ve been posting here. Well over half-a-million words offered, rent free, to the world. Lately Word Press is giving me trouble. Somebody’s system isn’t working well with somebody else’s (I’m having trouble loading pictures, for instance) and I have to login and post about three times per blog entry. It takes up most of my free time before the bus comes. Finally I decided to call for help. Scanning the website I learned that help is indeed available! Only for premium customer, however. If you want to pay, your free website will be available to the world. The hook. I can’t remember exactly when things got cloudy. It was a laptop ago, in any case. Suddenly I was receiving emails about starting up my iCloud account. In fact, now your devices can’t communicate with each other unless you have an iCloud account. The benefits: it’s free. You can access your pictures, music, and documents on any device with the correct app. So I click “okay.” Anything free… Then I receive the dreaded red-colored alarm. My iCloud storage is full. Any attempted transaction will lead to the modern equivalent of Hell—data loss. There is a solution, however. If I pay for an upgrade I get lots more space an my files will be secure. Let the music play on. It will only cost you a song. Examples could be multiplied. Since internet fame is the only kind of fame attainable to most of us—only if something goes viral—we buy our lottery tickets and stoke our social networks and write our blogs. Then the bill comes. Call me a curmudgeon, but I remember when you could lease a phone without having to take out a mortgage to afford the monthly bills. Bakelite was the old silicon. I remember when if you wanted to write someone a letter you knew up front it would cost you 13 cents. I remember when Blog was a radio station on the Twilight Zone. Don’t worry, I’m not planning to quit the blogging just yet. I do have to warn you though; it’s free. 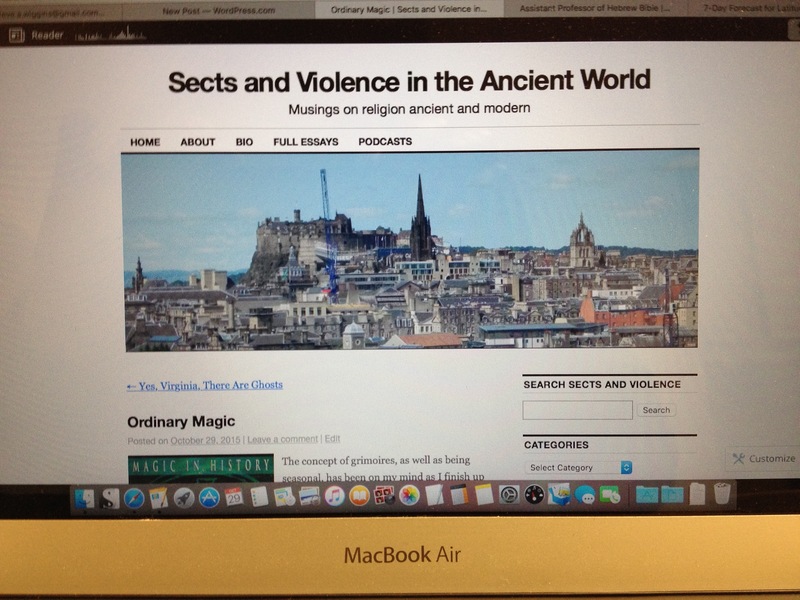 The concept of grimoires, as well as being seasonal, has been on my mind as I finish up my paper for the Society of Biblical Literature annual meeting next month. Grimoires, books of magic, have eluded, for the most part, the interests of scholars. Who takes magic seriously, anyway? Slowly our gaze is working its way away from our noses and out to the magical world beyond. 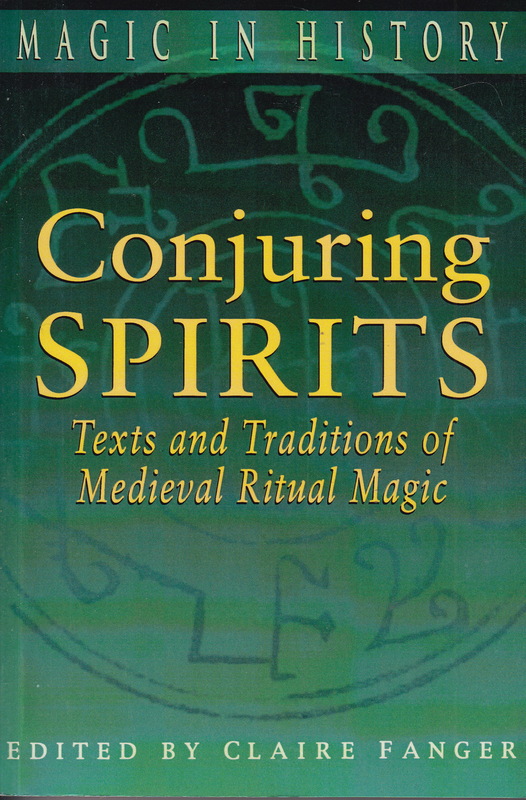 Conjuring Spirits: Texts and Traditions of Medieval Magic is a textbook example of what happens when you bring the two together (scholars and magic, that is). Like most collected works, the pieces range from fascinating to somewhat magical in their ability to cause the eyes to close. Nevertheless I learned quite a bit from this book edited by Claire Fanger. Magic is not nearly so rare as we like to claim it is. Perhaps the biggest takeaway from these essays is that grimoires were not only written by witches. Indeed, in the Middle Ages many of them were written by clerics and monks. They were avidly used by doctors, as science likely has its roots in magic rather than in some sudden enlightenment that matter is all there is. Medicine was still beholden to Aristotle, Hippocrates, and Galen. Humors and stars could make you unwell, and the wise physician would do well to pay attention to magic as well. Today we’re too sophisticated for that, but we still call the unexplained the placebo effect. Although the church became the great enemy of magic, it was also one of its main sources. The Mass, with transubstantiation, seemed alchemical. Miracles of healing, known throughout the Bible, suggested that the improbable was indeed possible. A number of grimoires contained instructions to work such wonders. One of the most vehemently condemned was a book informing how to attain the beatific vision—a worthy enough goal—but it did so in a way that circumvented the power of the church. Garden variety magic was also available, of course, as were recipes calling for brain of black cat and blood of bat. Witches, after all, were mainly sought out by the church. Those with power are not easily compelled to relinquish it. It should surprise no one then that magic continues to thrive. Universities find themselves in a strange position vis-à-vis the supernatural. I suspect that many institutions of higher education are slightly embarrassed at the fact that universities began primarily as training grounds for clergy. We’ve moved away from all that superstition and now believe that only science leads to knowledge. That’s why I find the University of Virginia’s magazine article on ghosts so refreshing. We all know better than to expect a straight answer from academics faced with the awkward question of belief, but the campus magazine invited six department representatives to a discourse on ghosts. The article, which can be accessed online, asked Art History, Anthropology, Religious Studies, Literature, Neurology, and Archaeology faculty about ghosts. At least they were willing to talk about the subject. Even in this world where skeptical ridicule is an accepted part of academic practice, we can’t quite let go of the idea of ghosts. They are among the most ancient of beliefs, and even despite the proliferation of apps that let you add specters for any occasion of selfie or digital shot, people still see them often enough to make academics wonder what is going on. Since science only studies that which can be measured, we suppose ghosts lie outside that realm. Those who’ve popularized “scientific” approaches to ghost hunting on television don’t bring their scientific credentials to the discussion. Anyone can be taught to use technology. (Well, not anyone—I sometimes still find my computer at complete odds with me. Technically, however, it is just an inert piece of matter.) From time to time serious scientists have turned their attention to ghosts. Results have been inconclusive. As the leaves are beginning to fall, and the temperature follows suit, we know that many months of long nights lie ahead. Trees without leaves and air without warmth tempt our minds to believe that perhaps the microscope can’t reveal all that exists in this world. Halloween, after all, has become a major spending holiday and that assures its veracity. Driving through town, it is clear that it is quite an investment for some. Down in Charlottesville they are hunched over their desks, writing lecture notes and grading papers. As the wind blows that empty branch against your window on a overcast evening, however, it won’t matter what department you call home. There will be ghosts about tonight. Keeping up with much of anything is hard to do, given work and commuting schedules. Often a horror movie will pass without even a notice until it’s on the sale shelf or free on Amazon Prime. On an October afternoon nothing feels more appropriate than a moody, ghost driven film. All these caveats are to introduce We Are Still Here, a movie that has received commendable ratings from the critics but which seemed pretty conventional to me. I’m not a fan of gore, and the finale has plenty to go around, still, the pacing is about right and the landscape is vacuously beautiful. I have to confess that I’m not sure of what was happening, although the newspaper shots during the credits were supposed to explain things. Haunted house, check. Townspeople acting badly, check. Spooky presence in the domicile, check. The menace is referred to in several different ways, but what is clear is that it wants a sacrifice. To me this is what is at the heart of the connection between religion and horror. Sacrifice is wasteful by definition. Gods, who are demanding creatures, ask for people to give up something they could use to propitiate divine displeasure. We’re never really sure why gods have such anger issues, but it does seem like a universal trait. 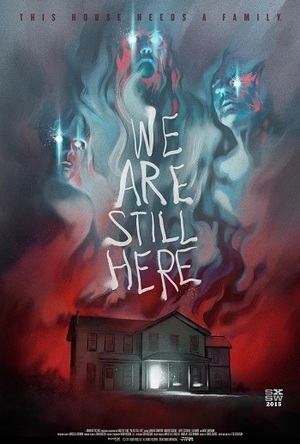 In We Are Still Here the “god” lives in the basement described as “hotter than Hell” and its choice of not slaying the intended victims is never really clearly explained. Perhaps that’s the point. Sacrifice is something that gods want. Reason has nothing to do with it. People in films like this seem to be minding their own business, doing what people do. Then the gods demand death. It is a religious trope older than the Bronze Age. The film reminded me about the somewhat earlier and scarier Burnt Offerings. Ironically in the latter, there aren’t any burnings as there are in We Are Still Here, but there is a house that thrives on human sacrifice. Both houses demand a family and destroy it. Indeed, apart from sacrifice, such movies tend to be a critique of ownership. The house owns the people, not the other way around. And the house, in some sense, is a deity. We Are Still Here doesn’t give a full explanation. It puts the viewer through the usual paces for a horror movie with appropriate startles and grotesque deaths. Like most members of its genre, it reaches for religious backing to make it all hang together. It has the good grace not to be obvious about it as well. Corporate logos are among the most instantly recognizable symbols in the world. Even in “developing” countries, kids know what the golden arches represent. Not a real fan of large corporations, I still buy things not knowing who the manufacturer is, if it is something I need. I find the frenetic need of non-profit organizations—even colleges and universities—to “brand” themselves vulgar and distasteful. Why do those who truly have something to offer feel like they have to snuggle up to Wall Street and its resident demons? Still, the corporate logo has a way of drawing attention to products. And sometimes we look for more significance in them than they actually have. Keep in mind corporations’ goals are merely to separate you from your money. Often it doesn’t take much thought. When I was a child I thought the golden arches were supposed to be french fries. 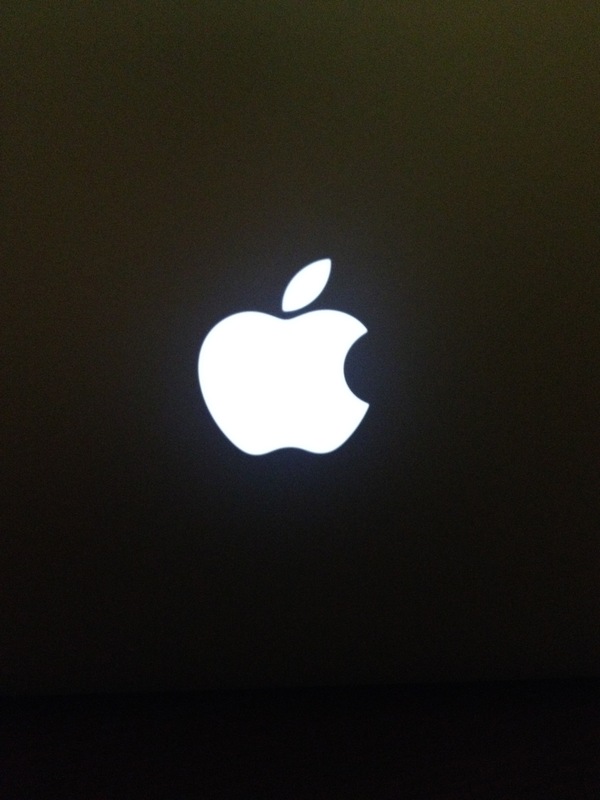 And when I started to use computers—always Apple—I wondered if their logo might not be the most infamous bitten apple of all, the apple of Eden. Forbidden knowledge. It seemed to fit perfectly. Too bad it’s incorrect. Interviews with Steve Jobs, Steve Wozniak, and various marketing designers have revealed that the Bible had nothing to do with it. The original Apple logo was Isaac Newton under an apple tree with the apocryphal fruit falling toward his head. It was felt that this detailed and complex logo didn’t have the instant recognition that a trademark requires, and so a marketing firm came up with the apple we all recognize. Initially it was a rainbow apple, but now the mere outline tells us what we need to know. But what’s with the bite mark? Surely that must be a throwback to Eden? No, apparently not. We don’t know that Newton ate his apple, but a stylized apple looks a lot like a stylized cherry. The bite mark was added to the logo for scale. You don’t want to confuse the buyer. Corporate logos are markers that say, “place your money here.” Non-profit organizations used to exist to provide valuable services—services that couldn’t be rendered in matters of dollars and cents. Now there is no other way to show value. We have followed the false idol of corporate thinking and the only way we can imagine to draw attention to what we offer is to brand ourselves. So it has always been with cattle, where branding was much more obvious. Yes, those who follow corporations should remember that the brand began with red-hot iron and it left an indelible scar. Of course, I’m writing this on an Apple computer. College is a rare time in life. Unlike any time after you find yourself with a diversity of intelligent and talented people open to possibilities that life tends to close shortly thereafter. At Parents Weekend at Binghamton University we took advantage of this wondrous juxtaposition to enjoy student talent. 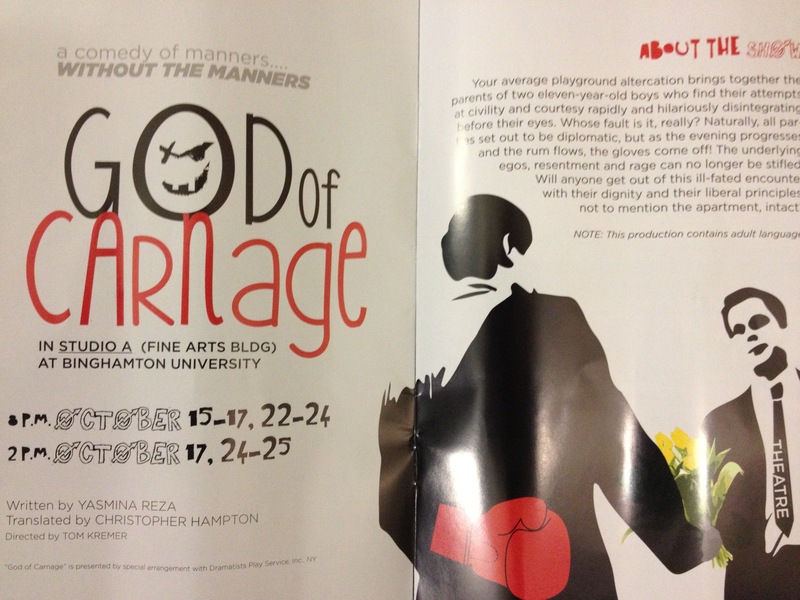 One of those offerings was the play “God of Carnage” by Yasmina Reza. It isn’t literally about God, but rather about two couples whose children had a playground fight. Parents try to solve the crisis, only to end up showing that they are really the ones who need to grow up. One of the vexed parents claims he believes in a God of carnage—that all people will seek their own good first and will eliminate those who get in the way. Perhaps might is right. The play is quite funny as the negativity grows and hidden assumptions come to the surface. There are no heroes here. In fact, any factor that might divide people does: gender, socio-economic status, race, sense of importance in the work one does. Each is turned into a weapon to make oneself appear more acceptable than others. Ironically, acceptance is just what’s missing here. Each of the four characters is alone and only finds company in teaming up with another to point out someone else’s foibles. As in most plays, the circumstances are exaggerated, and as in real life, peace is harder to attain than it should be. The god of carnage here is the individual desire to exceed at the expense of others. The play reminded me, in a rather literal way of the verse stating that a child shall lead us. Not that children are entirely innocent, for they are people too. They can’t be held accountable in the same way adults are. We do our best, but our intentions seldom rise to our ideals. Our own needs and desires get in the way. In my experience of over half a century, most of us never really grow up. Selfish behaviors are magnified in a setting like New York City where so many agenda are crowded in together. If we believe in a god of carnage—that our own desires are more important than those of others—our differences will only emphasize that. Apart from high school and college performances, I have been to few plays in my life. Each time I attend one, however, I learn a bit more about how art reflects reality. And if we could only learn to consider others to be just as important as ourselves, the god of carnage would be the one who ends up unemployed.